Description: London, J.T. 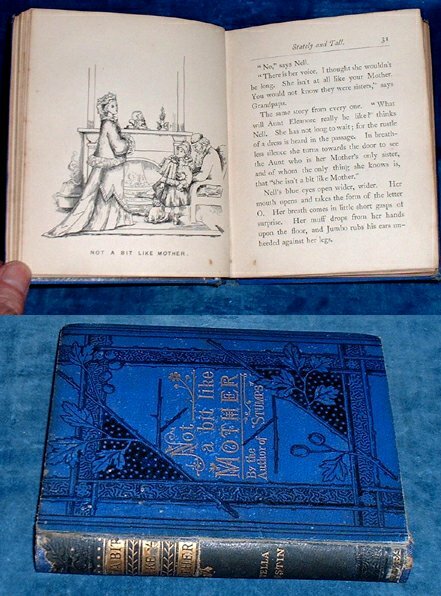 Hayes 1st edition first printing 1878 according to British Library Plates (4) as listed. . 16mo blue cloth decorated in black and gilt decorative titling (worn/spine relaid/tips worn/somewhat marked) pp +180pp inscription to half title.Endpapers a bit torn/scuffed especially at gutter but quite ocmplete. *A well respected author whose most famous book was "Stumps" whose heroine is a loveable rascally mischievous child. This is a more serious subject of partings and the strength of religion. Quite scarce.